Creating a good outcome requires a little knowledge about what you are about to do. 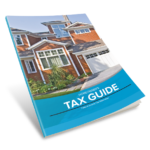 To be aware that there are tax laws about homes that you might not know about and may come up in your tax return. But if you are informed, you can point these out to your tax preparer or seek out more information from IRS.gov. Even if you have used the same tax professional for years, they need to be made aware if you have something different in this year’s return. Look through this list for things that could affect your return. Over the last year, if you bought a home as a principal residence, check your closing statement to see if you paid any points or pre-paid any interest on the mortgage you received. If you itemize, these can be deducted on your Schedule A as qualified home interest. See Home Mortgage Interest Deduction | IRS Publication 936 (2018 version not released as of this newsletter). 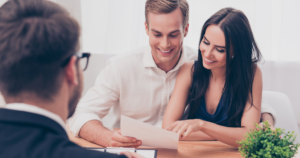 Along with your monthly mortgage payment if you make additional principal payments you will save interest, build equity faster and shorten the term of your fixed-rate mortgage. See my Equity Accelerator. Did you sell a home last year? With the payoff of your old mortgage came some additional interest from the last payment made to the date of the playoff. This interest is tax deductible. You can get a breakdown of your payoff from your closing officer. Refinanced your home? Points paid to refinance are not deductible as interest in the year they are paid but must be spread ratably over the life of the mortgage. See Home Mortgage Interest Deduction | IRS Publication 936 (2018 version not released as of this newsletter). If you are a homeowner who has lost a spouse, an exception exists to the exclusion on the sale of a principal residence. If the surviving spouse closes a sale within two years of the death of their spouse, they can exclude up to $500,000, instead of $250,000 for single taxpayers, of gain provided ownership and use tests are met prior to death. If you are selling a home that you received as a gift, there could be significant tax consequences when compared to receiving the home through inheritance. With a gift home, the basis of the door becomes the bases of the done. While with an inherited home, the heir usually gets a stepped-up basis and avoids potential unrecognized gain. See Home Received as Inheritance | IRS Publication 523 Selling Your Home (2018 version not released as of this newsletter).